Fast acting general purpose cleaner for all water washable surfaces. Contains a clean pine fragrance leaving the room with a fresh 'just cleaned' atmosphere. 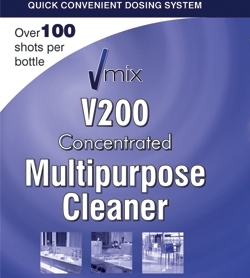 Equally effective as both a trigger spray cleaner as well as a damp mopping detergent. Composition A high active blend of chelating agents and surfactants with a high degree of synergistic action.